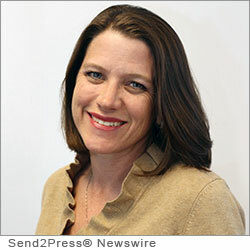 SAN MATEO, Calif., June 4, 2012 (SEND2PRESS NEWSWIRE) — EPIC (Edgewood Partners Insurance Center), a retail property, casualty and employee benefits insurance brokerage, announced today that senior account executive Tina Brink has again been recognized by Risk and Insurance and Human Resource Executive magazines as a “Top Employee Benefits Consultant” in 2012. Brink is one of only 18 benefits professionals nationwide to be selected for the honor this year. Brink was also named a Top Consultant in 2011. The Top Employee Benefits Consultant Award identifies outstanding benefits consultants across the country who have done extraordinary work for their clients over the past year. Criterion for selection include client service excellence, creativity and innovation in problem-solving, cost-savings, program improvements, and health and welfare insurance and benefits consulting expertise. Brink was recognized as a “Top Employee Benefits Consultant” because of her exceptional customer care and background as an underwriter, where she developed unique skills to assist in her negotiations with carriers. A notable example of Brink’s negotiating skill is her work with Aspire Public Schools in Oakland, one of the nations leading K-12 charter school systems serving low-income students. With the California school system facing substantial financial challenges, Brink was able to save Aspire $354,000 in 2011, followed by negotiations in 2012 that garnered a $316,000 reduction in proposed benefit increases. In addition to negotiating significantly better rates, Brink secured attractive benefits for Aspire. Collectively, Brink saved her clients more than $1.5 million in 2011. She is located in EPIC’s Folsom, Calif. branch office and is a part of the company’s Northern California Employee Benefits Consulting Practice. Tina Brink can be contacted by phone at 916.358.8007 or via email at tbrink@edgewoodins.com. EPIC is an independent retail property & casualty and employee benefits insurance broker with headquarters in Northern California. Founded in 2007, the company utilizes a creative approach to product and program development and distribution, and provides cutting-edge services to key industry segments which include Construction, Real Estate, Hospitality, Renewable Energy, Food and Beverage, Healthcare, Transportation and High Tech. EPIC offers a unique equity ownership opportunity for revenue generators and other key employees. EPIC’s “people first” value-based culture attracts and retains top talent and fosters high employee satisfaction and performance to sustain its high level of service excellence. By focusing on value, EPIC generates exceptional client retention and growth rates well above industry norms. The fastest growing brokerage on the west coast, EPIC employs 300 associates operating from seven fully-integrated locations. With nearly $65 million in revenues, EPIC is the 42nd largest retail insurance broker in the U.S. For more information, please visit http://www.edgewoodins.com. News Source: Edgewood Partners Insurance Center :: This press release was issued on behalf of the news source by Send2Press® Newswire, a service of Neotrope®. View all current news at: http://Send2PressNewswire.com .